Everything at Working Class Punx is MADE TO ORDER and will ship 3-5 Business Days after purchase. 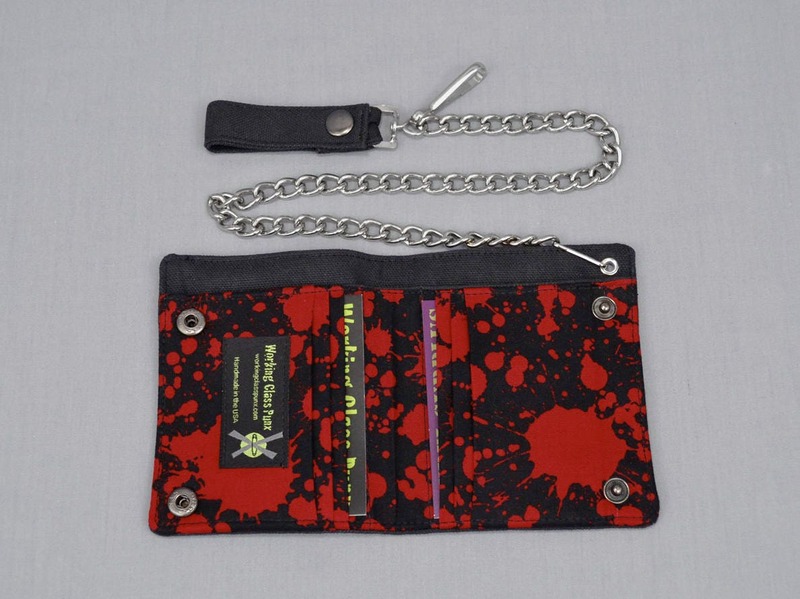 Vegan, black canvas bi-fold chain wallet features pockets made with 100% cotton black and red blood splatter fabric. Oven Mitts/Pot Holders/Wallets/Wristlets/Xmas Stockings are all shipped First Class, with a Priority Mail upgrade option at check out. All bags are shipped Priority Mail. Everything is shipped First Class International, insurance included. I ship Monday-Friday (except US holidays) through the United States Postal Service from Los Angeles, California. When your order is shipped you will receive a notification with the USPS tracking number. Please note that on some international shipments the USPS tracking is only available until the item reaches the US border. Everything is washable, except the Christmas Stockings. I recommend washing the bags and wallets in cold water, so they don't fade. Dry on low heat or let air dry flat. Christmas Stockings should be spot cleaned only. - Make one of my items with another fabric that you see in my shop. - Straps lengthened or shortened. If you want any of these, please contact me before you make your purchase. - Make my items larger, smaller, or change the shape. - Copy another shop or person’s design or item. If you don’t see it in my shop, I don’t make it. - Add a zipper top closure to the large crossbody bags or messenger bags. Please contact me if you have any questions or want to discuss it more. I love the pattern of this wallet, & there are plenty of spaces for all the cards I need to carry! Perfect!! Whipping out this canvas wallet makes me proud to be a vegan!!! 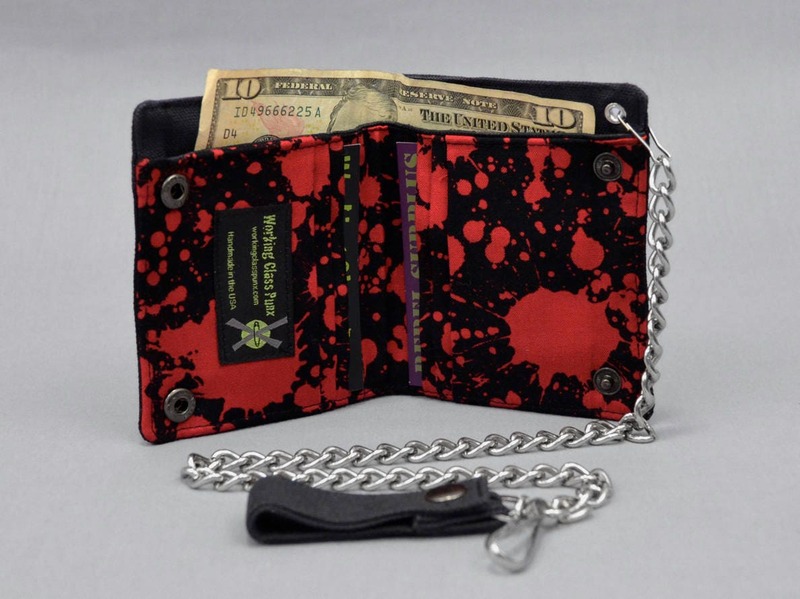 I adore my wallet! 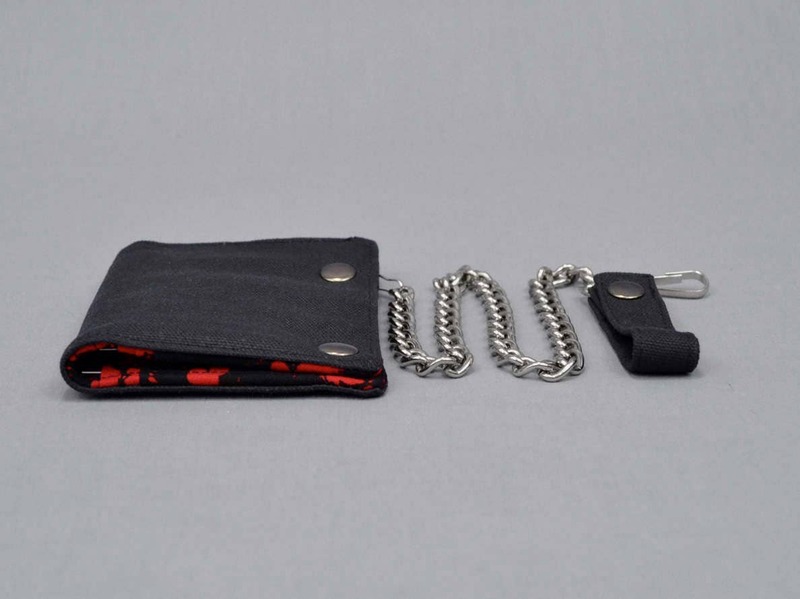 I had been looking for a canvas vegan chain wallet for quite some time. 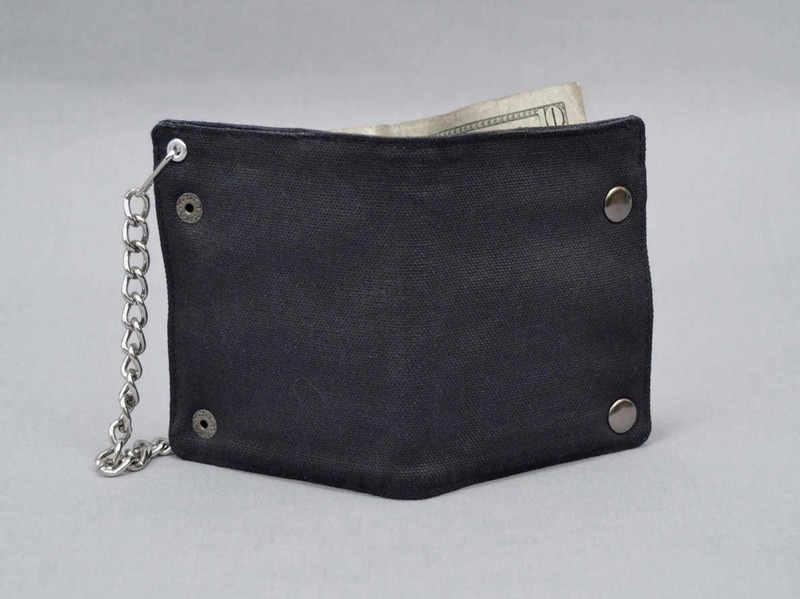 This wallet fits great in my back pocket, folds well and is durable and well constructed. My order was processed and shipped quickly. I’ve purchased 3 of these f*ckers... I’m rough on everything and they hold up.